New developments. Same trusted resources in corporations, competition and consumer law. 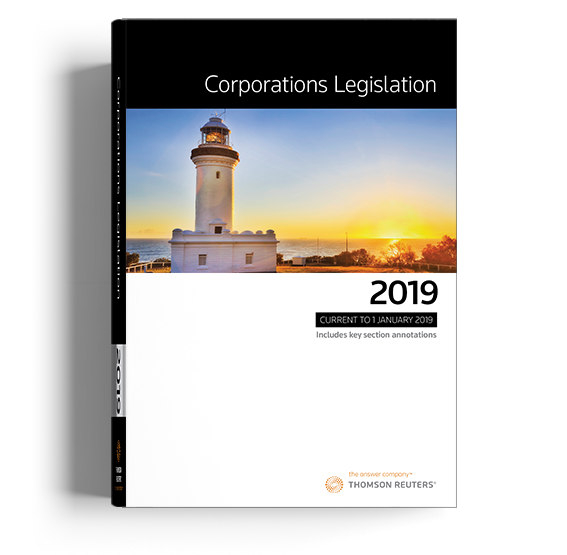 Fully consolidated legislation including the Corporations Act 2001, Australian Securities and Investments Commission Act 2001 and associated Acts and related legislation capturing the latest amendments to 1 January 2019. Book, eBook, and eBook + Book Bundle. 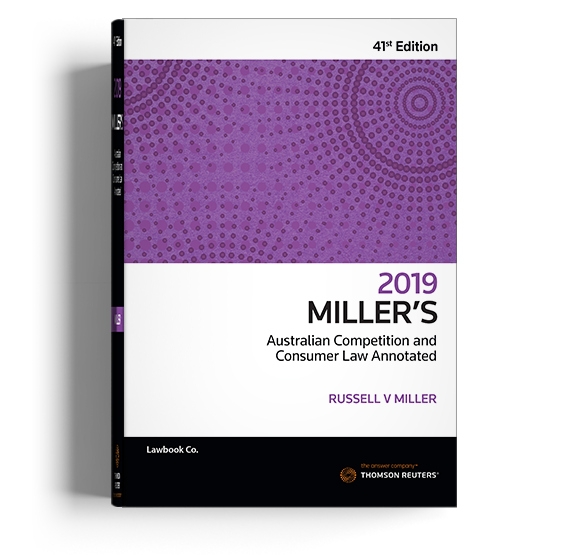 Miller's provides the full text of the Competition and Consumer Act with Russell Miller's expert insight into how its sections operate. Increased penalties for consumer breaches introduced by the Treasury Laws Amendment (2018 Measures No 3) Act 2018 (Cth). Full Federal Court view in Aldi v Moroccanoil  FCAFC 93 on misleading labels. 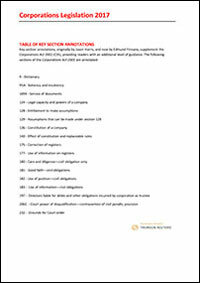 Thomson Reuters ProView® is the intuitive eReader for professionals and students. Access trusted content on your iPad or Android tablet, computer, or via browser online, and experience peerless mobility, speed and customisation choice. Learn more.